Come stroll with us through the fields of Sunset Flower Farm. Envision beautiful peony blooms in striking colors, bushels of sunflowers and bundles of hydrangeas. Imagine picking ripe beach plums in the middle of summer that pucker your mouth and indulge your taste buds. This farm offers all that and more. Walk up to the shed and brush along a row of rosemary ready to be picked, eaten, or used in designs. All of the plant material on our farm has a purpose. That is where the design skills and knowledge of owner Linda Matousch-Rau shine through. 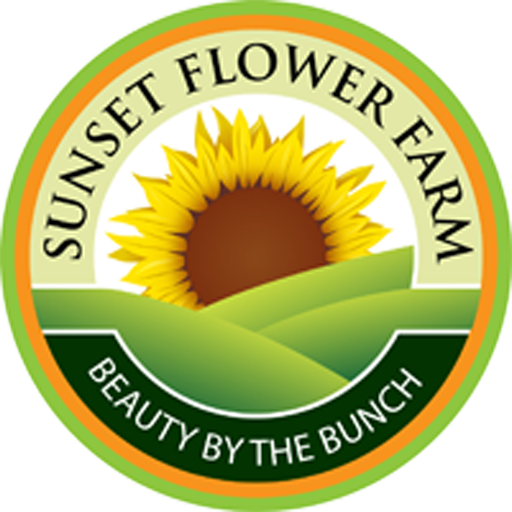 Sunset Flower Farm is a fresh cut flower farm located in Cape May County, New Jersey. We pride ourselves in the quality and freshness of our seasonal field-grown cut flowers. During the growing season, we provide cut flowers to local farm stands, florists, wholesalers and flower lovers. Our main crops include peonies, hydrangeas, sunflowers and beach plums. For anyone shopping for locally grown flowers on the way to Cape May, look for blooms in the field and stop by at Sunset Flower Farm. In Sunset Flower Farm’s design studio, Linda designs with our flowers to create beautiful bouquets for special events and individual customers. 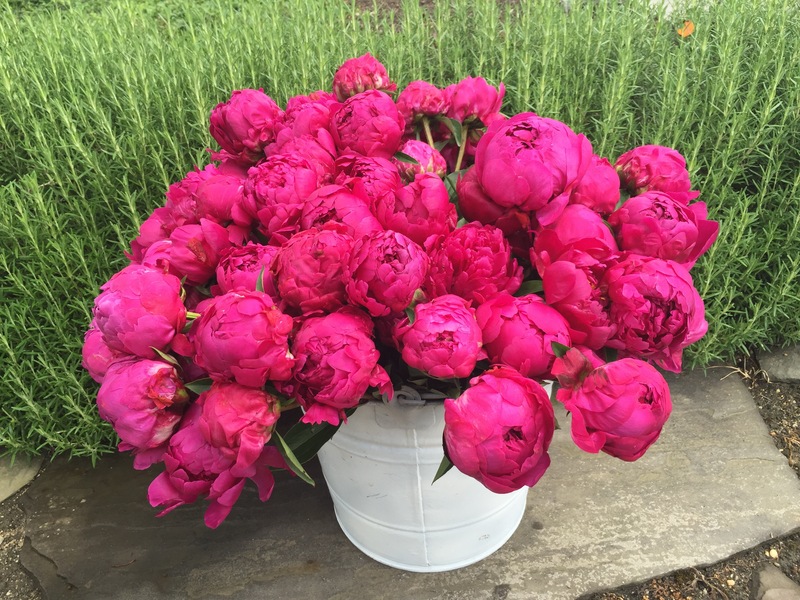 Each May we host a peony farm tour to educate and have design demonstrations. We also offer fresh and dried holiday wreaths and arrangements in December at the local craft show for purchase. 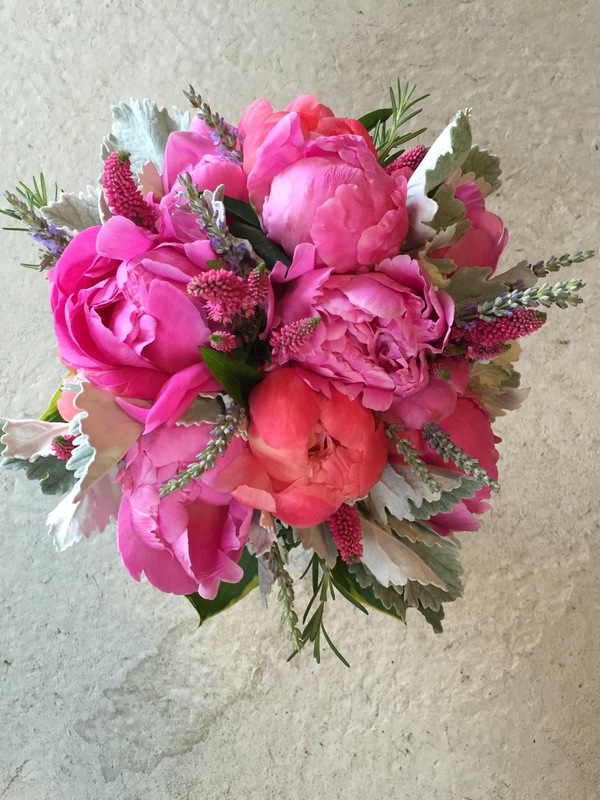 Linda employs her talents and long experience as a florist to create beauty by the bunch, and shares her passion through design seminars and tours.